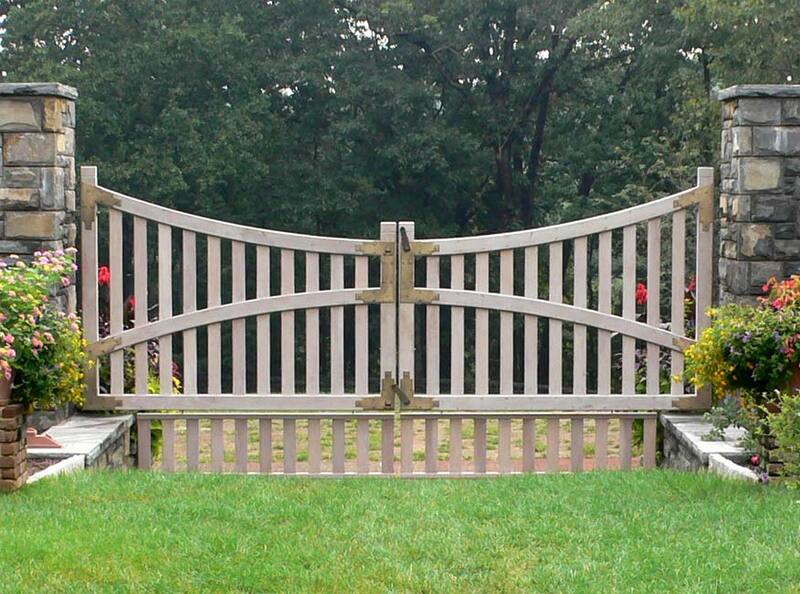 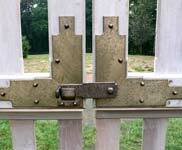 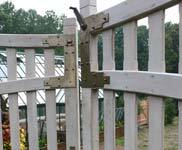 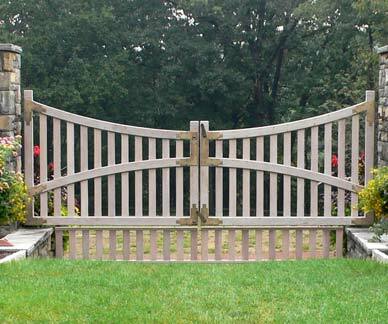 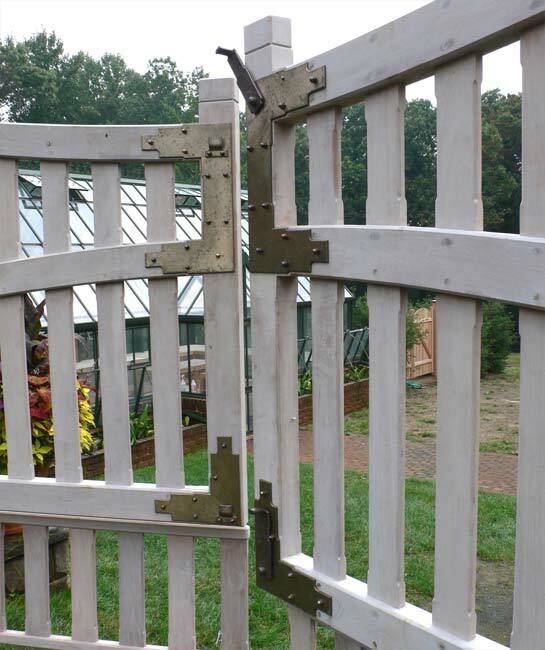 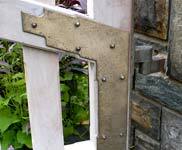 Dimensions: gates 240" x 108" x 4"
with 1/4" bronze plate, sizes vary. 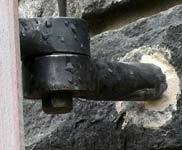 Construction: 2006. 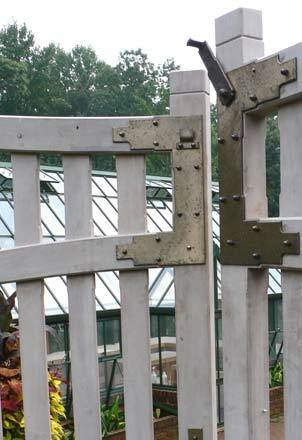 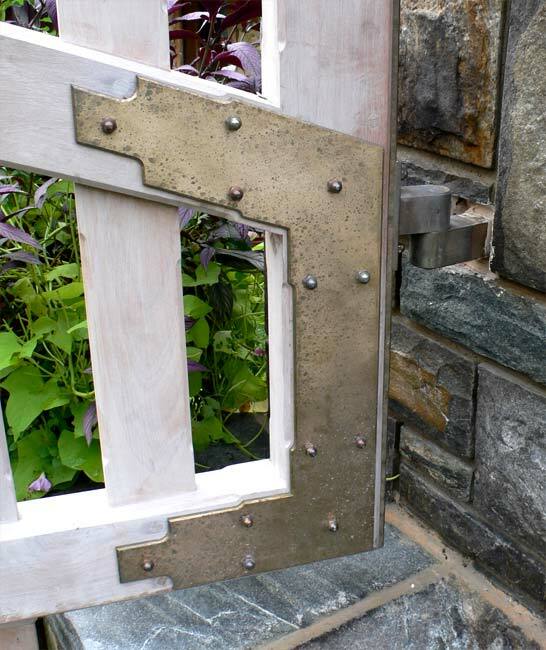 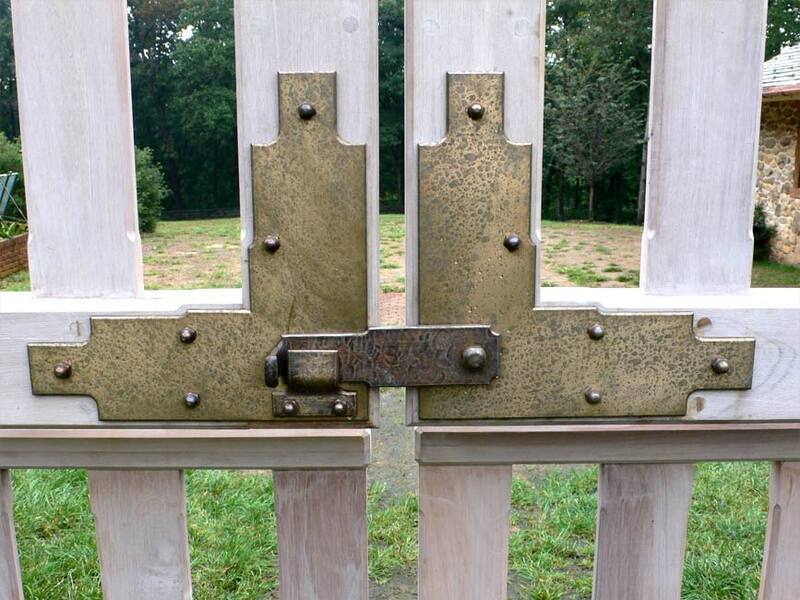 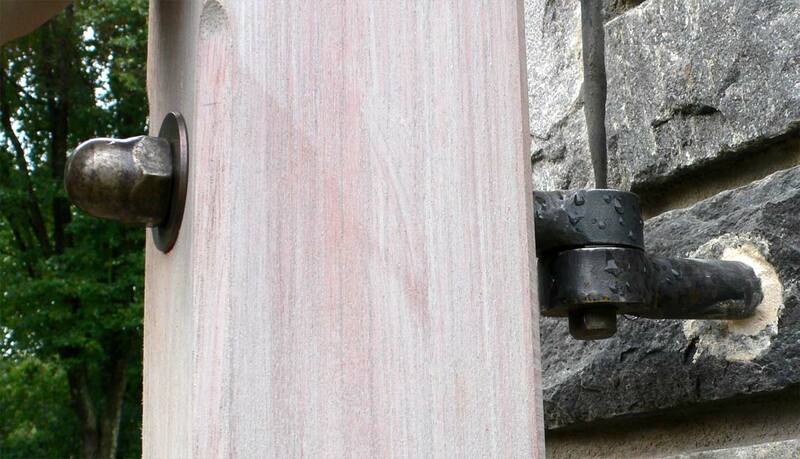 Fabricated bronze plates, stainless steel nuts & forged bronze lock mechanism.